It’s true that most of the people who come into Inspire Seattle for a Megaformer workout are women. This is probably because Lagree Fitness is the preferred workout of many female celebrities who are known for their toned bodies. 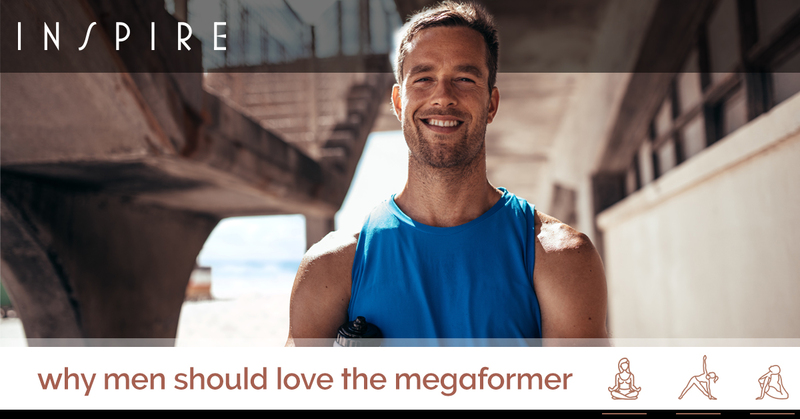 While we are happy to offer this incredible approach to wellness to women, we also love it when we see guys come into our fitness classes, and it’s happening more and more now. An increasing number of men are realizing all that they stand to gain from Megaformer workouts. After all, this innovative fitness machine was invented by a man: Sebastien Lagree. So, shout out to our female fitness warriors, but today, we are going to take a moment to highlight all the ways men can benefit from Lagree Fitness. Though this is not always the case, in general, women are more flexible than men. This is an area that is worth it to focus on, as when you are more flexible, you are able to take your athletic performance to the next level and move about your daily life more comfortably. In terms of improving your flexibility, there are few better fitness options than Lagree Fitness. Increase your range of motion, become more flexible, and help prevent injuries through our workout program. You know which muscles you want to work on, so you probably have a workout plan when you hit the gym targeting those specific muscle groups. In addition, as you go about your daily life, you tend to do the same movements again and again, building those specific muscles as well. During a Megaformer workout, you are working muscles you may never even realize you have. The first time you experience the shaking that occurs during a Lagree Fitness workout, you’ll be able to recognize it — you are getting stronger in places that you didn’t even know had muscles! The truth is, Lagree Fitness is not something that you can just phone in. You have to be entirely focused on the workout when you’re doing it. This is because you have to do every move precisely to maintain proper form and get the most out of your workout. It also centers a lot around breathing, so it promotes mindfulness is a similar way to yoga. This means that a Lagree Fitness workout is not only an incredible way to strengthen your physical body, it also has powerful effects on your mind. Taking a break from the daily grind of your life to focus in on a tough workout is an incredible way to enhance your focus, which translates to other areas of your life. Some men stay away from the Lagree method because the movements are slower than what they are used to at the weight rack. Trust us, just because it doesn’t look like your traditional workout, doesn’t mean that it is easy. In fact, this workout is extremely challenging, and many people consider it the hardest they have ever done. Regardless of your preferred form of physical activity, adding Lagree Fitness into your routine is an incredible way to enhance your performance across the board. Put aside any preconceptions about the Megaformer workout, and come try it yourself! New students get two classes for $30. Check out our schedule today to find a class the works for you!